1. Praying for our husbands to love us with Christ’s love. 2. #Refocus our hearts to Respect our husbands by admiring their good qualities. 3. Let respect come alive in action. You know your husband. Hear what’s important to him. What’s on his mind. What’s important to him should be important to you. Today I was challenged to start making a list of things my man mentions that need to get done so I don’t forget. Seriously, I need lists in my life! 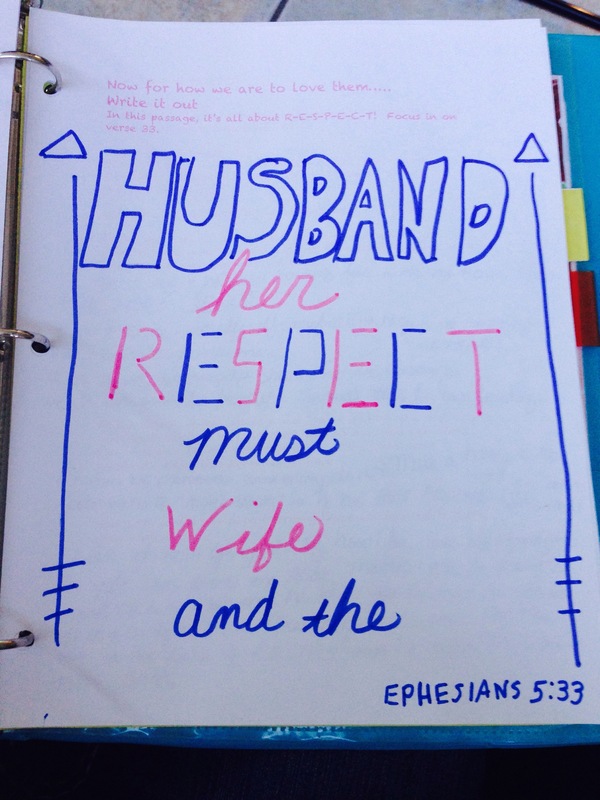 Pray for God to help you speak your man’s language of what respecting him looks like to him. He will help you! Praying for you all!